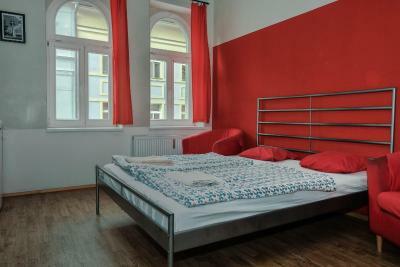 Lock in a great price for Hostel One Prague – rated 8.7 by recent guests! 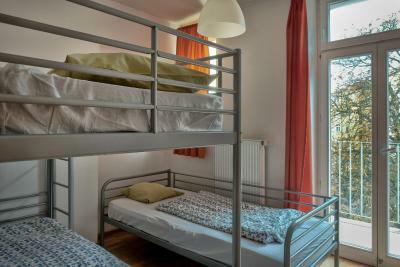 Fantastic hostel, very family vibe and very pleasant,the staff could not do enough for you. 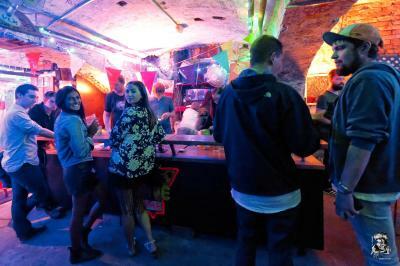 Rave Cave was awesome experience. 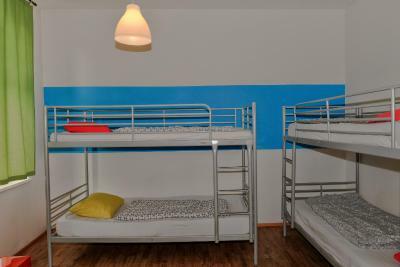 It’s the best hostel for youngsters..
Everything was amazing to be honest, the staff were more than welcoming, helpful and kind especially Johnny, Sam, Louis and Matthew. You are just gonna feel at home in a foreign city. 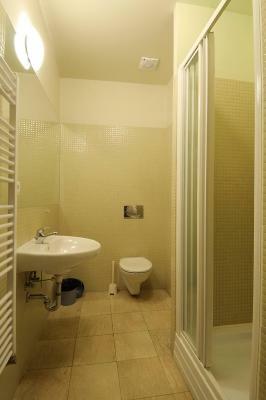 The rooms and the toilets were quite decent for the price except for the showers maybe. The rave cave is a nice place to meet new people and play games but it can get a bit too crowded sometimes The free dinner of course is vegan but is a cool gesture still. 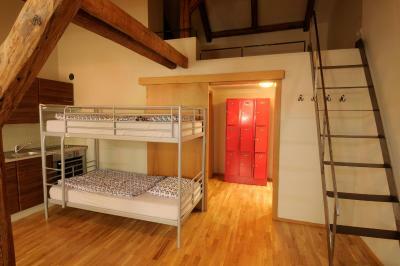 Overall, I’m definitely staying again at Hostel One. I loved the staff. They were really involved...loved the kitchen. Very friendly staff, extremely helpful. Other hostel mates were also respectful. I like that it's located a little outside the main old town so you can avoid the tourist crowds, but it's very reachable. 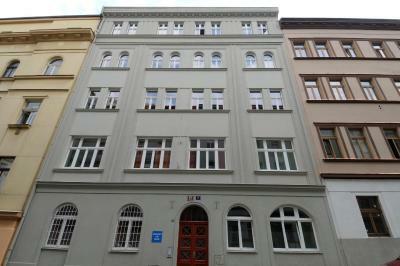 Just a 15 minute tram ride to the old city and one stop away from Prague Central station. Friendly attitude of the Staff. Especially Monica. The Free Dinner was good. 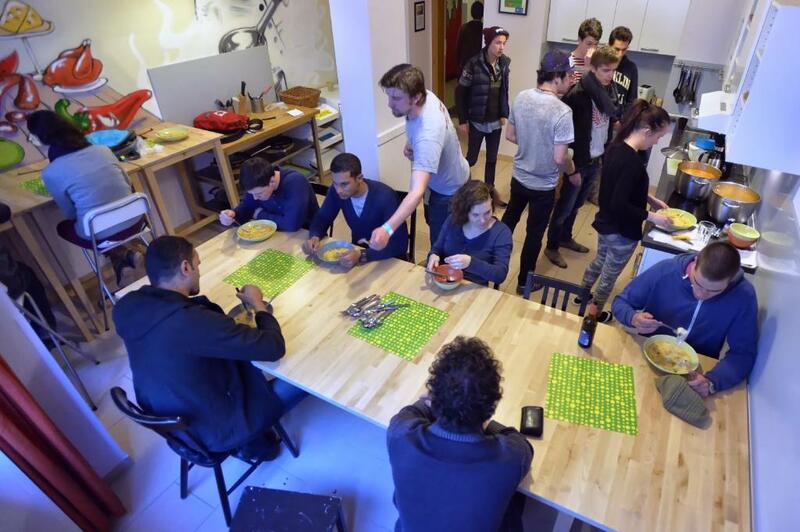 Nice place to socialize with hosteliers of different age group from different nationalities. 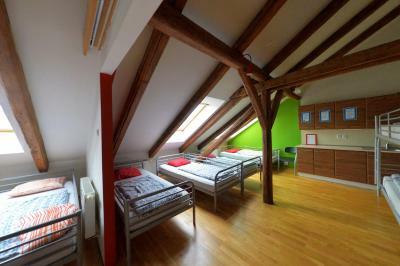 If you are going to Prague you definitely should stay at Hostel One. Best staff ever, especially Joice who is very available and kind. 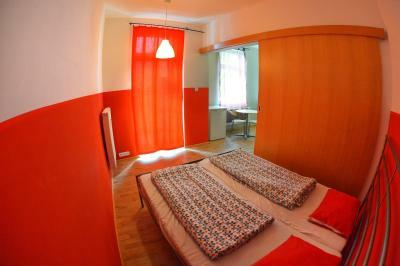 They have a daily schedule activities for day and night and very comfortable rooms. It's a good place to meet people if you are traveling solo. Staff members are very halpful and with smiling face Always. 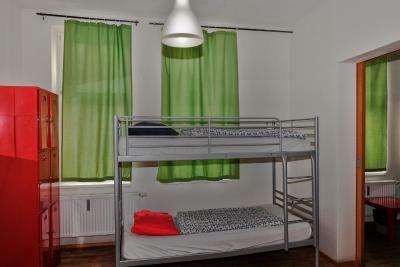 Hostel One Prague This rating is a reflection of how the property compares to the industry standard when it comes to price, facilities and services available. It's based on a self-evaluation by the property. Use this rating to help choose your stay! 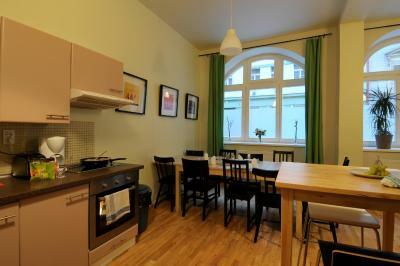 HostelOne Prague is just a 5-minute walk from many restaurants, pubs and bars. 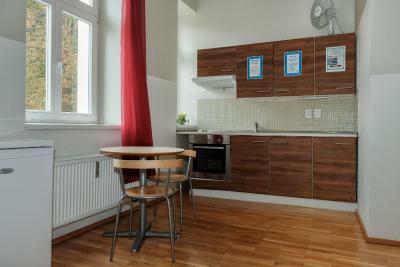 The parks Vitkov and Riegrovy Sady are just 2,300 feet away or less, and Prague’s city center can be reached on foot in 15-minutes. 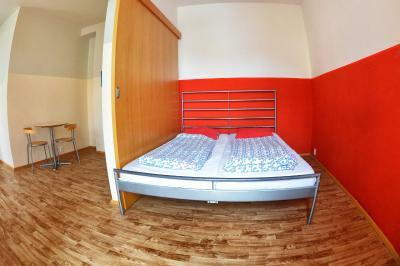 Several units at HostelOne Prague are dormitory rooms with shared bathroom facilities, single beds and bunk beds. 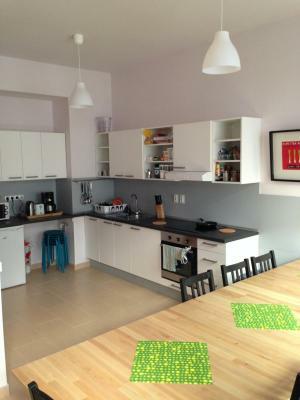 An apartment with a separate bedroom and living room and a seating area is also available. 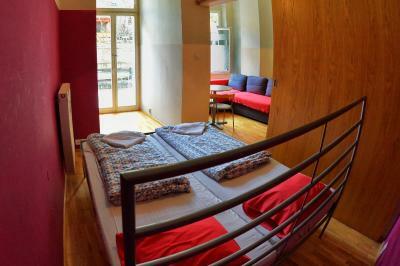 Some rooms have a balcony and Wi-Fi can be used free of charge in all. 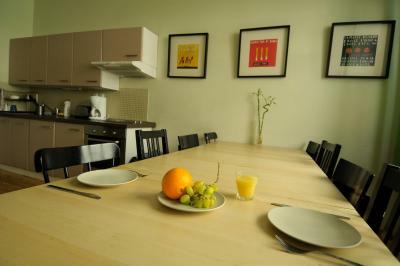 A fully-equipped communal kitchen is available on site. 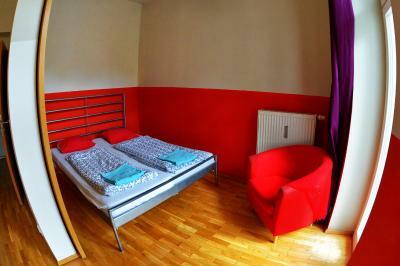 A common room with a large sofa, TV and library can also be used at HostelOne Prague. Computers can be used free of charge in the computer room, and the property also has a garden and terrace with a seating area and barbecue facilities. 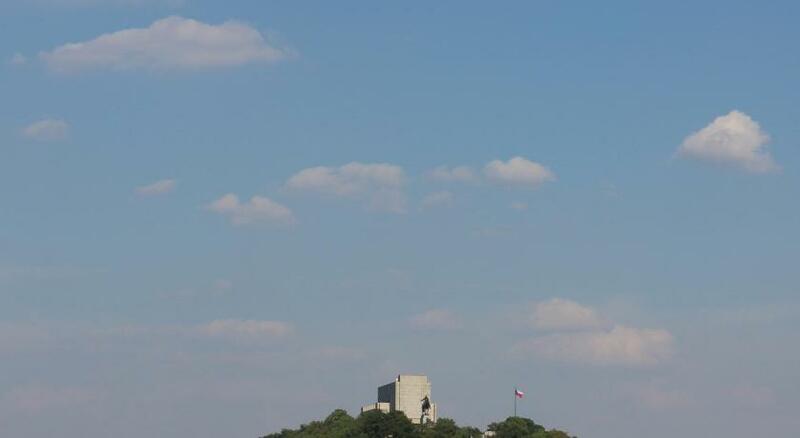 The Husinecka Tram Station is 1,300 feet away and the main train station can be reached on foot in 12 minutes. 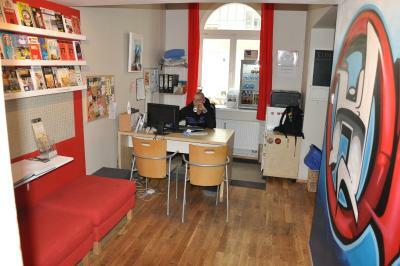 Trips to Karlstejn, Kutna Hora, and other popular destinations can be organized at the tour desk. 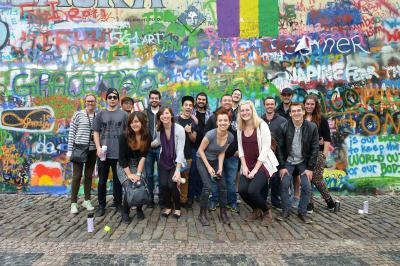 Wenceslas Square and the Old Town Square are both 1.2 mi away. 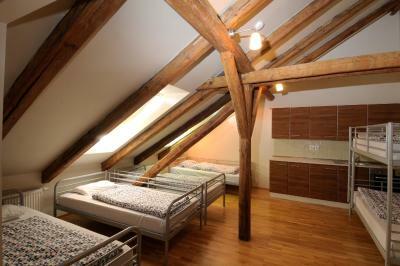 When would you like to stay at Hostel One Prague? 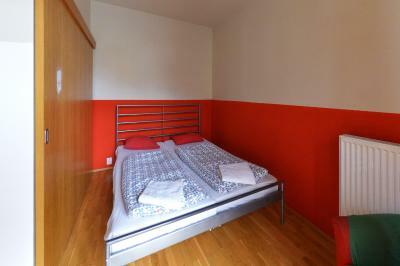 This apartment has a separate bedroom and living room and a seating area. 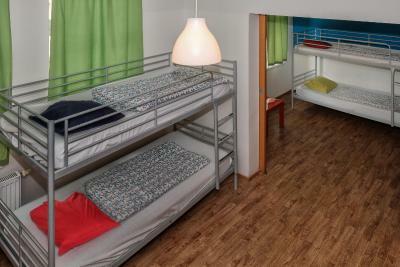 This spacious dorm room has shared bathroom facilities, single beds and bunk beds. 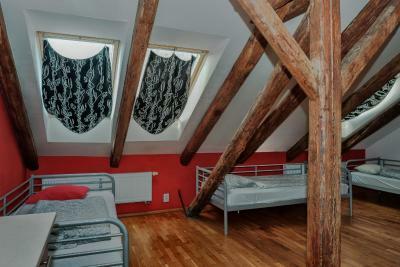 Wooden beams and floors are also featured in the room. Some rooms have a balcony. 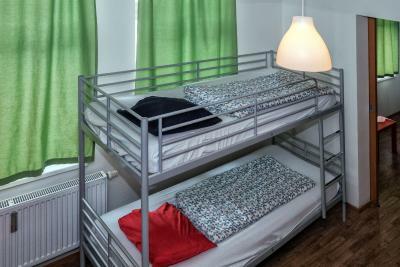 A bed in a dormitory room with shared bathroom facilities. Lockers are featured in the unit. Some rooms have a balcony. 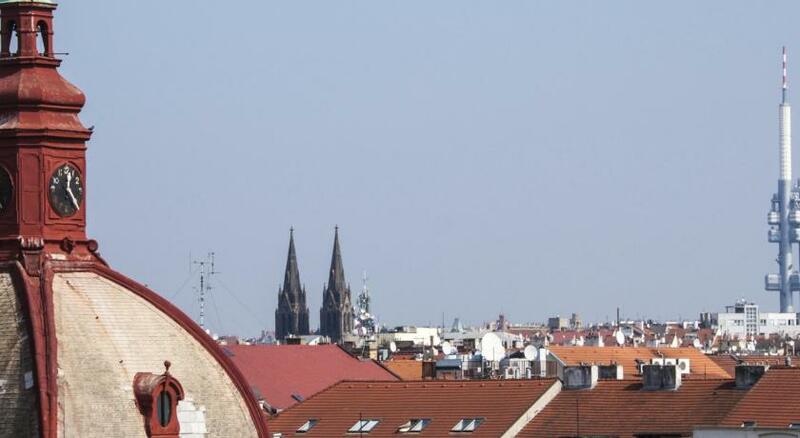 Area Info – This neighborhood is a great choice for travelers interested in beer, monuments and food – Check location Great location - show map Guests loved walking around the neighborhood! 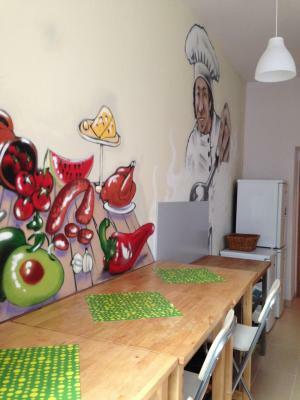 House Rules Hostel One Prague takes special requests – add in the next step! 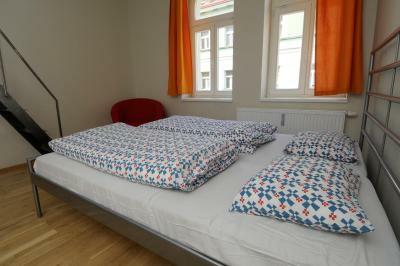 Hostel One Prague accepts these cards and reserves the right to temporarily hold an amount prior to arrival. In case of bookings for 7 and more nights, different policies apply. The property will inform you about these policies prior to your arrival. 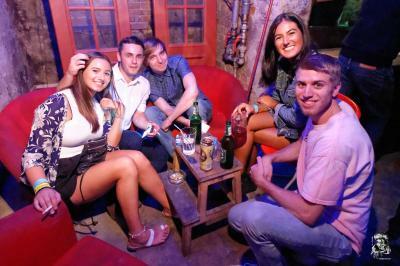 It smelt of smoke as people were smoking in the rave cave and probably in the hostel. You get used to that being in Europe though! It was also a bit further out than I thought, the trams make it closer but I prefer to walk everywhere. Lots of activities on. The riverside tour was fun, free dinners were great. 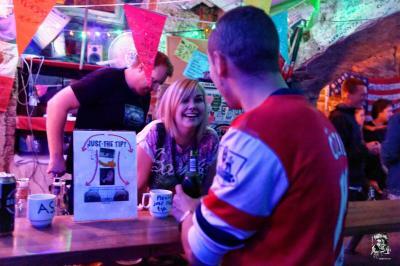 It was fun having a bar downstairs in the hostel! Pillow,bed and linen not very comfortable. 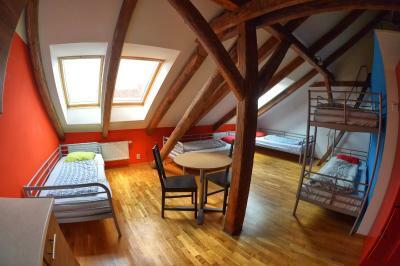 Staff is amazing ,really fun place to stay and good time in Prague ,location is good too. Lovely and clean! 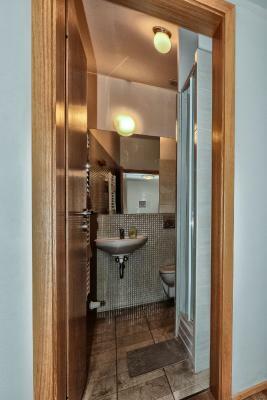 In a lovely area, close to the city, everything is within walking distance. Great staff, especially Caroline, Johnny and Lewis. Very chill atmosphere and nice people. 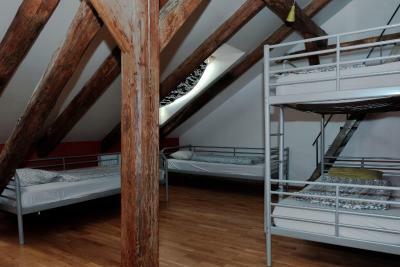 Completely fulfilled my expectations and it won't be my last time booking this hostel. 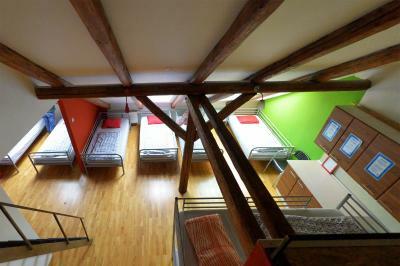 It was my first time a Hostel. Thank you for my good first experience. I was well received. And the people there made me feel like i wasn‘t alone. 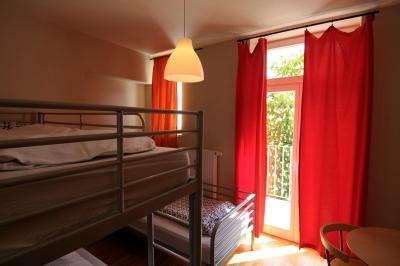 I think i will visit Hostel One next week in Spain. 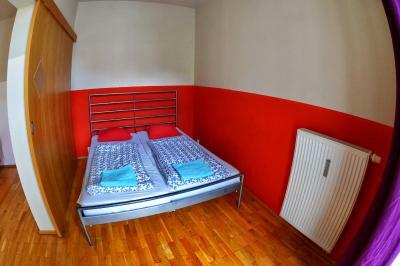 The double room we were in wasn't really clean. The floor was a bit dusty. We never got any room service , in 5 days. Usually, when we stay in a private room we get room service. The shower in the room was a bit weird , it didn't work properly sometimes . The double bed had 2 single mattresses which wasn't really comfortable. The room was really big, it was an ensuite room(although the shower didn't work properly) there was a small refrigerator and a kitchen, although the cooker didn't work. 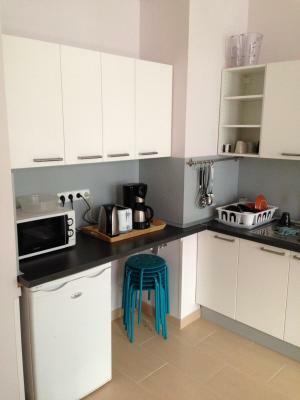 It was fine though because we could use the main kitchen downstairs. Staff was great ! Lovely and cheerful people ! Dinners were great ! The pre parties downstairs were fun and the staff would take us to places nearby for the rest of the night . It was good fun regardless the double room not being perfect ! Well I guess you get what you pay for, it is really cheap. 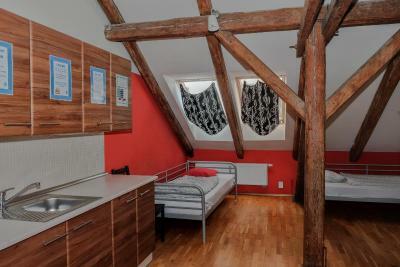 The sheets are old, the location is ok but not so good. 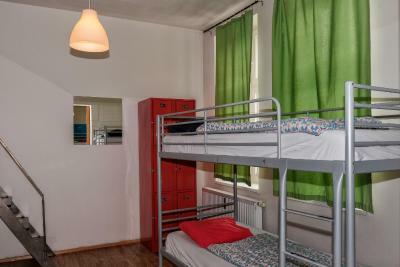 You just find everything you need in this hostel and the best thing is the Staff. I can't believe that in just a few days Clara, Johnny, Leo and all the guys made me feel like in family. I've been traveling for 6 months and it's the first time I get to a place that makes me feel like home. 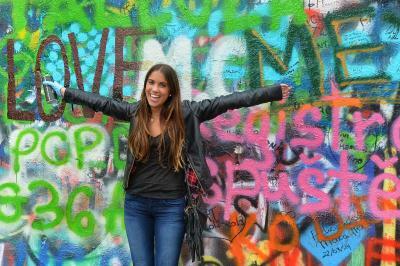 Thank you Hostal 1 Prague! I can't wait to go back! 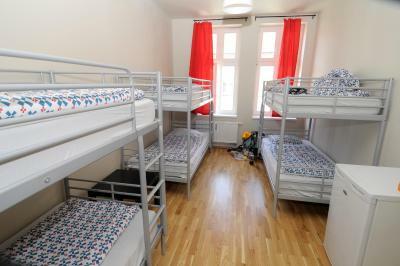 We booked the private room, it was spacious, clean and cheap. 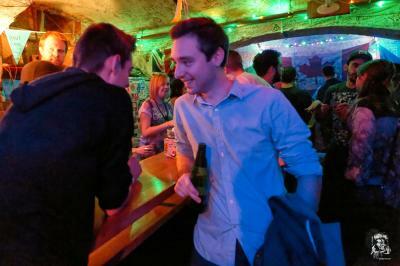 At night you can join party at the bar and meet people from every corner of the Earth. In the living room you will find two guitars and a lot of books, written on different languages.